Here’s a round-up of events to pay tribute to Hispanic culture and some great places to explore Hispanic cuisine. Each year, from Sept. 15 to Oct. 15, the United States celebrates Hispanic Heritage Month to recognize the economic, cultural, and social contributions of the more than 50 million Latinos residing in the United States. About 30 percent of Arizona’s population is of Hispanic or Latino origin. Here’s a round-up of some events, exhibits and lectures taking place in metro Phoenix to pay tribute to Hispanic culture, as well as some great places to explore Hispanic cuisine. 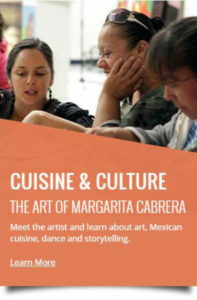 Check out what’s blooming at the DESERT BOTANICAL GARDEN on Oct. 7 for Cuisine & Culture: The Art of Margarita Cabrera. Attendees can meet the artist and learn about art, Mexican cuisine, dance and storytelling. Attend the Hispanic Women’s Conference at the PHOENIX CONVENTION CENTER Sept. 29-30 for the largest gathering of Latinas in the nation. The conference aims to motivate, educate, and provides a prime opportunity to build lasting and beneficial relationships with women and sponsoring organizations nationwide. 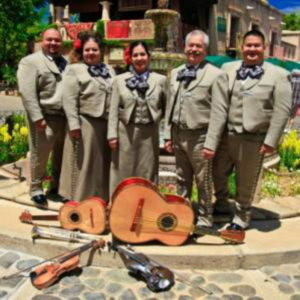 Enjoy traditional mariachi music at VEE QUIVA HOTEL AND CASINO with Mariachi Rodriguez, a third-generation family group who has been performing around the Valley for over 25 years. Visit the ARIZONA STATE UNIVERSITY Art Museum to see the brilliant and energetic work of Cuban-born American artist Ana Mendieta. Travel the world through the magic of music at the MUSICAL INSTRUMENT MUSEUM’s Latin America Gallery, which features instruments and ensembles displayed in three sub-galleries: South America; Central America and Mexico; and the Caribbean. 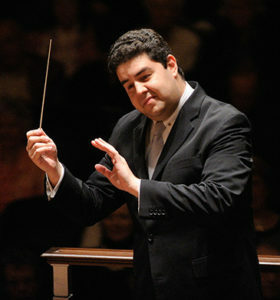 Attend an engaging performance at THE PHOENIX SYMPHONY with Music Director Tito Muñoz, one of the most gifted and versatile conductors of his generation. Attend the PHOENIX ZOO’s conservation lecture series event “Mexican Wolf Recovery in the Southwest” to learn more about the history and recovery of this unique and very rare type of wolf indigenous to the southwestern United States and Mexico. 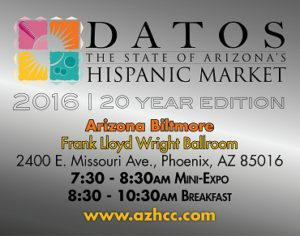 Learn more about the state of Arizona’s Hispanic Market at the ARIZONA HISPANIC CHAMBER OF COMMERCE’s 20th Annual DATOS signature event. Keynotes speakers Former U.S. Housing Secretary Henry Cisneros and international business executive Sol Trujillo will cover the impact of Latinos on U.S. politics and the economy. Grow your business and learn more about effectively marketing to the ever-growing Hispanic market from UNIVISION ARIZONA, the Valley’s premier Spanish-language television station. With the U.S. Hispanic market emerging as one of the most promising areas for growth, there is tremendous opportunity for marketers and the business community to reach a wider following. 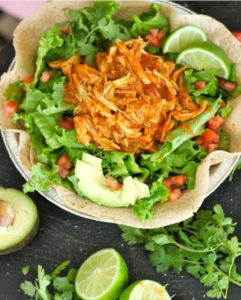 CAFE RIO MEXICAN GRILL is a fast, fresh, casual Mexican restaurant, offering made-from-scratch meals in a friendly and eclectic atmosphere. VALLE LUNA MEXICAN RESTAURANT invites you to enjoy the very best in Sonoran style dishes, its family atmosphere, luncheon specials, children’s menus and fast, friendly service. Visit www.valleluna.com for nearest location. 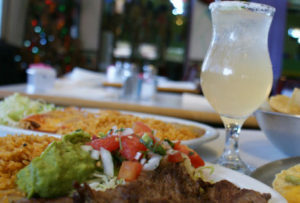 Known for fresh, authentic Mexican dishes, MI PATIO has won several awards that distinguish it from the rest. Mi Patio takes pride in using the freshest ingredients and authentic recipes in the preparation of great generational recipes passed down through the family. Check out CHRONIC TACOS, a Mexican-themed, quick service restaurant featuring authentic, third-generation recipes and generous portions. 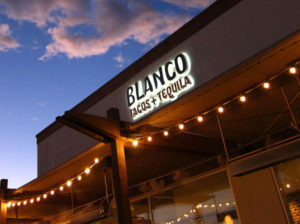 BLANCO TACOS + TEQUILA offers modern Mexican fare in a casual-chic setting. Updated classics like tacos, enchiladas and queso crisps are reinterpreted with fresh, flavorful and unique ingredients.